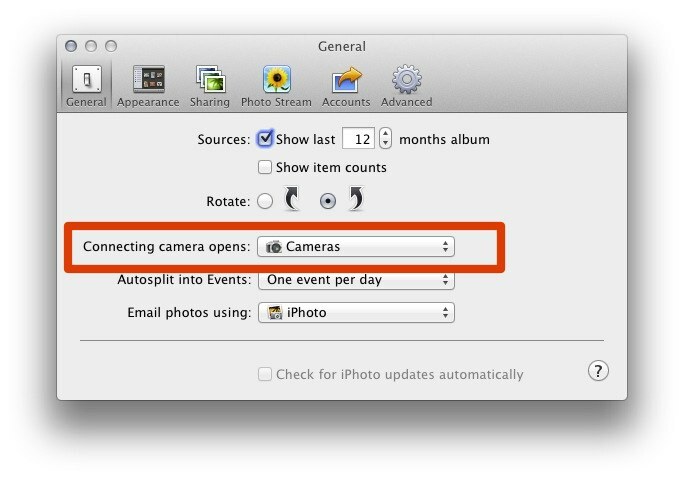 Everytime I connect my iPhone to my laptop, Image Capture opens. How to I stop it? I just need to use iTunes, not Image Capture. 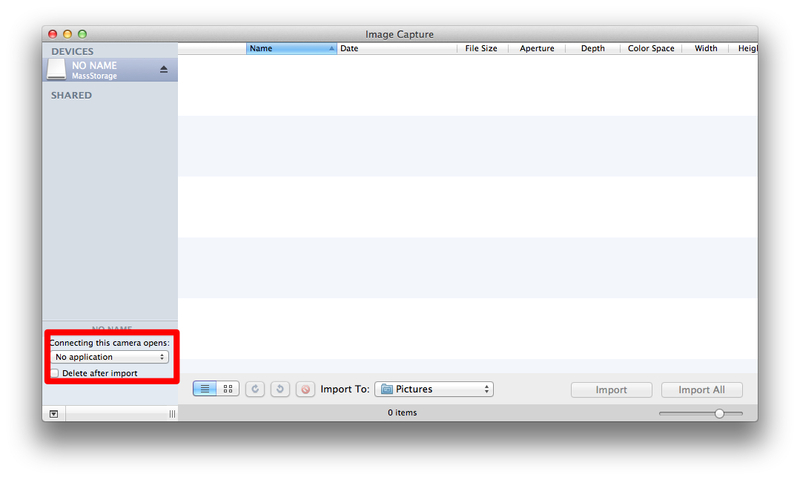 The preferences you are looking for are located in Image Capture itself. You can select Other... and then iTunes from the drop down menu below Connecting this iPhone opens. Not the answer you're looking for? Browse other questions tagged iphone mac . 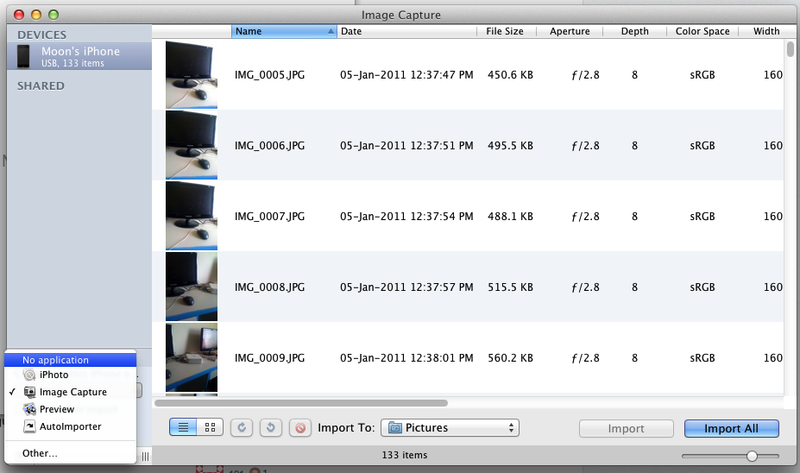 Why does Image Capture crash when downloading pictures from my iPhone? Is it normal to have 500-900 MB of Other after restoring iPhone 4s?